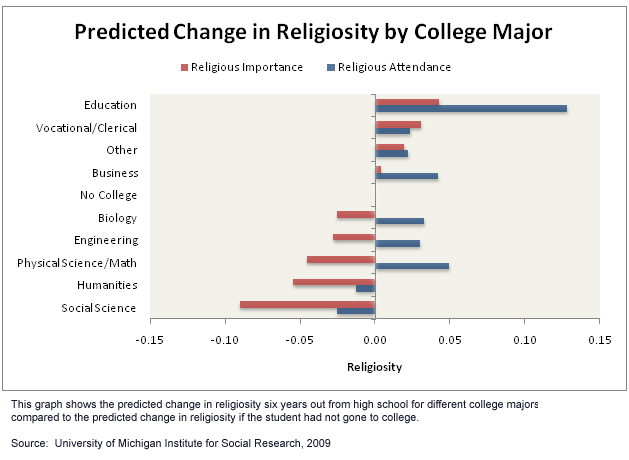 Go to college, lose your faith? If you study sociology or history, yes. Education, praise the Lord! As the article mentions in passing, the causality might run in the other direction. Or in parallel. Next Next post: Where’s the passion?